Experts on weight loss now agree that there are people who may need to exercise for about 30 minutes a day to be able to maintain their weight while others may have to spend as much as 90 minutes exercising to attain the same results. Based on the information released in 2005 by the US government it is clear that the average American is getting bigger and for that matter there is a need for every citizen to exercise even more to maintain a healthy weight. The guideline released suggested that at least every American would get involved in a 30 daily physical workout in order to reduce the chances of developing chronic diseases like diabetes, hypertension, heart diseases and osteoporosis. Dr. Russell Pate who was a member of the dietary guidelines advisory committee said they felt it was necessary to reiterate the fact that 30 minutes exercise do apply to all adults. But again for those who still continue to gain weight it was preferable they even spent more time working out. The guidelines make it clear that it is poor diet coupled with physical inactivity that contribute to obesity in the country. The fact is people who don’t exercise and eat poorly end up accumulating more more energy that end up not been spent. That excess energy is what is converted into fat. Who needs to workout for more than 30 minutes? Doing a 30 minutes exercise a day is just the bare minimum and every adult, whether obese or not should try to follow that habit. That is what Dr. Pate suggests. He added that there is more than enough scientific evidence to support the claim. A person making the effort exercising 30 minutes daily will not only maintain a healthy weight but also reduce the risk of getting chronic disease that most adult develop as they grow old. That said, depending on the weight status of a person, it may be necessary to even increase the amount of time spend at the gym. There are people who may follow the 30 minutes guideline but still put on weight. In that case it is advised to spend up to 60 minutes working out. At the extreme end, one may have to spend a whole 90 minutes to sweat enough to lose weight. 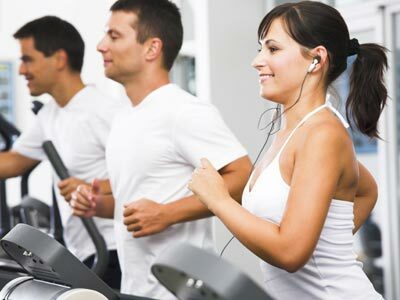 Dr Pate said that the hour and half worth of workout is been advised to those who are significantly overweight. But again it is important that they maintain the habit for a long period of time and that, even if they eventually lose some weight. It is not only about losing weight. It is also about not regaining it back so it is important to remain active no matter what. Most obese people are not going to be happy to hear they need to work out more. Most will already be uncomfortable with the idea of exercising for just 30 minutes. Dr Pate said to that, whether somebody is happy about the facts or not, this is the recommendation based on the best science available. Next Is a fitness boot camp right for you?